Twenty-five years ago, Chennai, a city on the southeastern coast of India, could barely supply enough water to its 3.8 million citizens. Many of its families depended on water drawn into plastic pots from public stand pipes and pumps. There was not enough water to go around, and municipal supply was unpredictable, with the taps running only intermittently. People who could afford to began to hire private water tankers. Others drilled deep boreholes that tapped discontinuous and unsustainable aquifers in the bedrock of the soil – over 60 metre (200 feet) under the surface. A very small proportion of the population had access to freshwater in subsurface aquifers close to ground level. Today, the population of Chennai has more than doubled. The city gets water from four large suburban reservoirs and two desalination plants. River-water­ sharing agreements with other states have augmented these sources. However, the city remains deeply dependent on groundwater. Yet sidewalks are no longer clogged by plastic pots. Water tankers are a lot less common, and most of Chennai’s citizens have forgotten the days of surviving on less than 40 liters (8 gallons) of water a day. The city has managed to avoid a Day Zero scenario like the one Cape Town, South Africa has been facing. 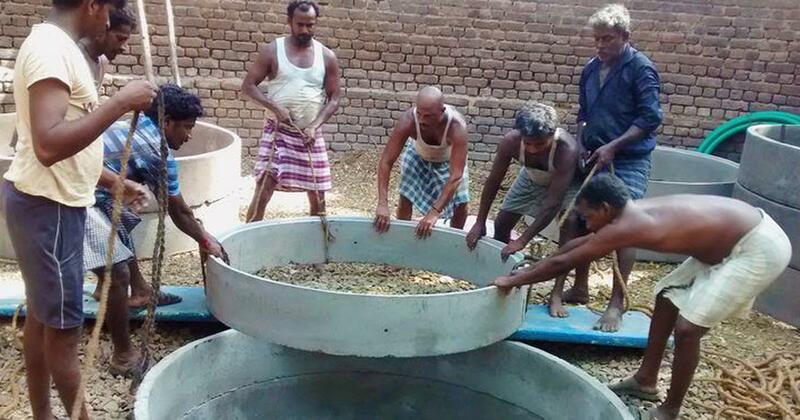 A lot of this improvement has come from a simple idea promoted by physicist and Chennai resident Sekhar Raghavan: Rainwater could quench the city’s thirst. In 1995, Raghavan was studying 18th-century land records as part of his work as a research fellow with the Centre for Policy Studies in Chennai. The documents contained detailed information about traditional methods of water usage and rainwater harvesting in 2,000 villages near Chennai. Even as Raghavan was learning about ancient methods of conserving rainwater, the taps in his home started to produce salty water. Like many others, he had been supplementing the erratic municipal water supply with water from a well in his backyard. 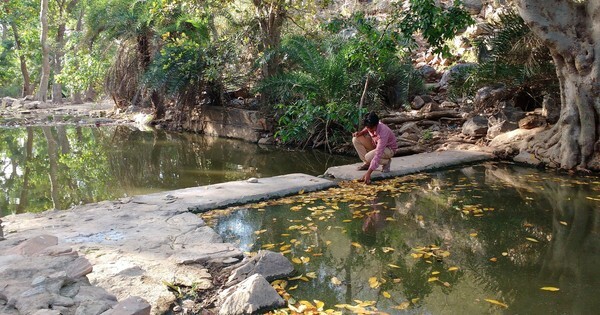 In the past, the porous sandy soil of unpaved backyards and driveways in Raghavan’s neighborhood had filtered rainwater and allowed it to replenish underground aquifers. By the turn of the century, though, concrete high rises with paved walkways had kept the rain from reaching aquifers. The water table fell, and salty water was being sucked in from the sea. Raghavan was brushing his teeth with water from the Bay of Bengal. Raghavan realised it wasn’t reasonable to advocate a return to unpaved or undeveloped land to capture rainwater. 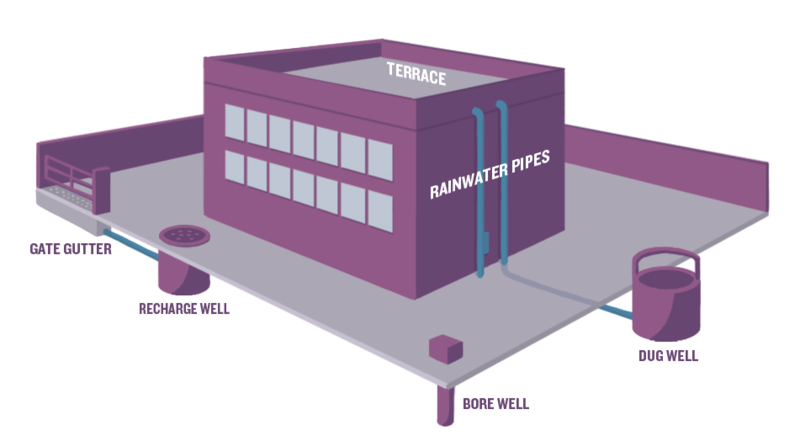 Instead, he suggested installing a network of pipes and filters to capture rain wherever it fell – rooftops, driveways and sidewalks – and using it to replenish underground aquifers or storing it in collection tanks. He calculated that, if managed strategically, Chennai’s average annual rainfall of around 140 centimeters (55 inches) was sufficient to meet domestic water needs in the densely populated city. He began speaking to people in his neighborhood, encouraging them to set up systems that would capture rainwater and allow it to percolate into the soil. “The soil is like a bank account,” he said. “If you deposit rainwater, you can withdraw even during a drought.” However, it was surprisingly hard to find an audience. He was often mistaken for a salesperson and turned away at the door. Raghavan’s biggest breakthrough came in 2001, when J Jayalalitha was sworn in as chief minister of Tamil Nadu – the state whose capital is Chennai. Jayalalitha had included rainwater harvesting in her election manifesto, and in 2002 passed legislation that made it mandatory for every building in the city to harvest rainwater. The effects were not immediately visible. 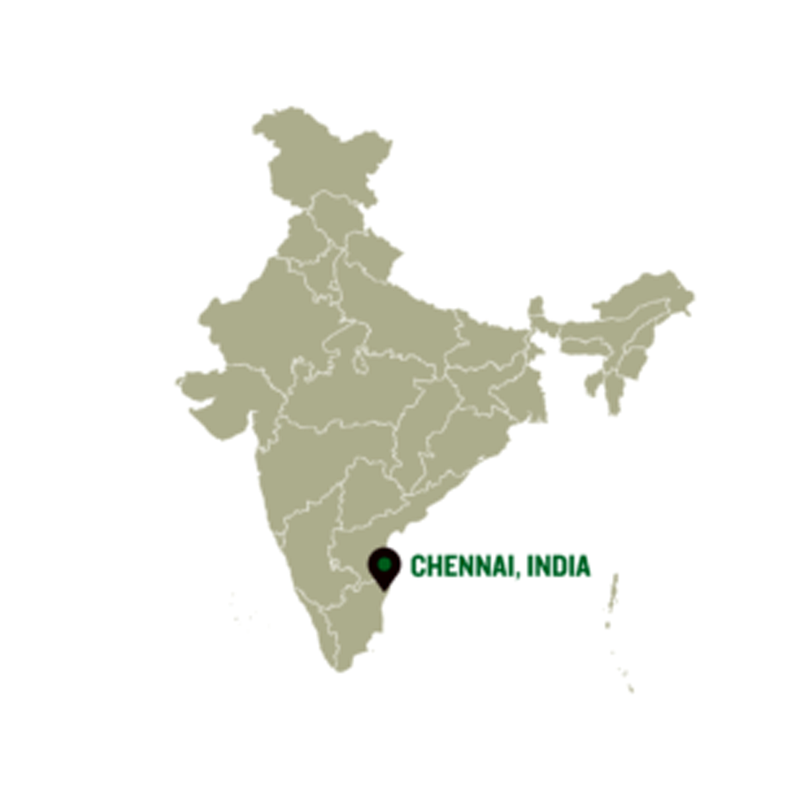 In 2005, however, Chennai received an extraordinary amount of rainfall – nearly twice its annual average. “We had all the structures in place. So when there were heavy rains, the water table rose by 20 feet [6 meters],” Raghavan said. That one year of rainfall, he said, insulated the city from severe water shortages for the next decade. 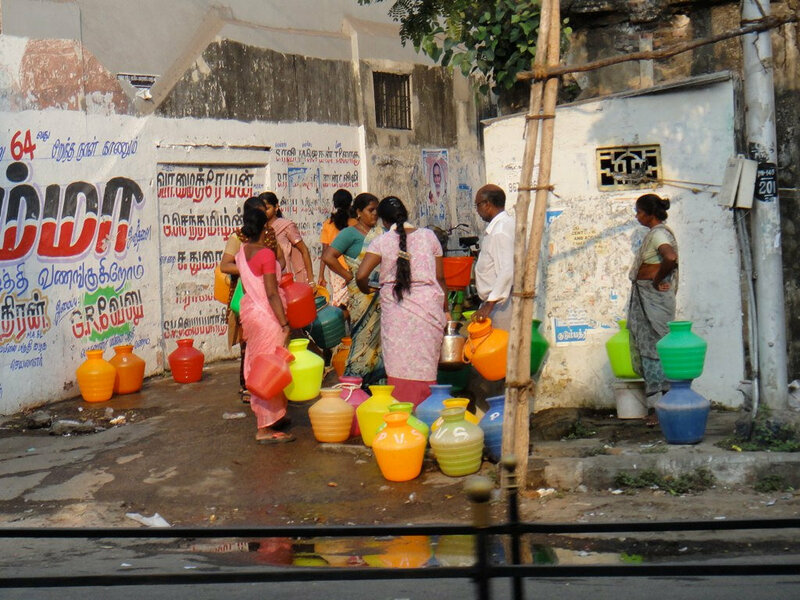 Securing Chennai’s water supply is still a work in progress. “People who have open wells and good rainwater harvesting structures are not really running short of water,” Raghavan said. He is quick to add, however, that people relying completely on centralised water supply and those whose rainwater harvesting is suboptimal still face water shortages – especially when there is a deficit in annual rainfall such as in 2017. And he encourages residents to engage each other. “It is not enough if one person knows the intricacies of installing an efficient rainwater harvesting system,” he said. “He should walk over to his neighbours and educate them.” Raghavan also notes that such an approach could help other water-stressed urban centers with porous soil, especially coastal cities, meet domestic water needs. Now director of the nonprofit Rain Centre, Raghavan works with volunteers and Rain Centre staff to monitor the quality of groundwater in 88 wells across the city. He also strongly recommends that municipal authorities periodically desilt and maintain suburban reservoirs to increase Chennai’s water security. His primary passion, however, is to give citizens power over their water. This article first appeared on Ensia, an independent, nonprofit magazine presenting new perspectives on environmental challenges and solutions to a global audience.